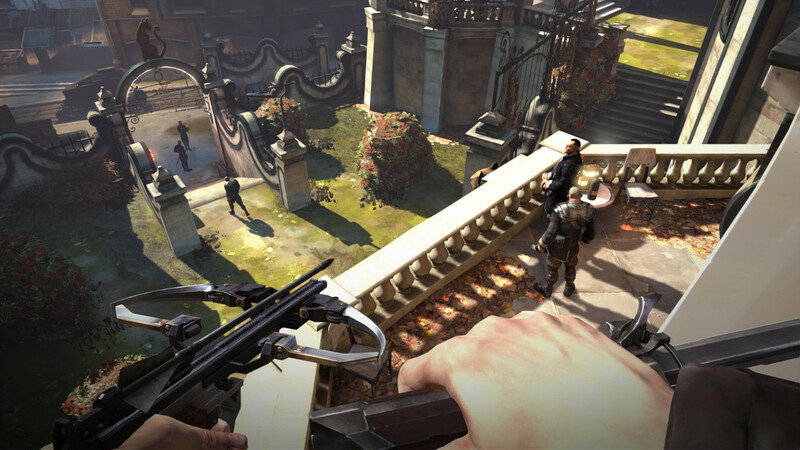 In 2012, the stealth-action video game Dishonored was released. Developed by Arkane Studios and released by Bethesda, it was what any fan of sly first-person games could hope for. In the industrial, free-roaming city of Dunwall, players could choose to be a lethal action hero, a strategic assassin, or a nonviolent vigilante, avoiding brutal deaths through quick reaction and calculated plans. Four years later, we get to enjoy this cerebral and dexterous gameplay again with the newest installment, Dishonored 2. With two playable protagonists and a huge all-new environment, where do you even begin to develop the audio? 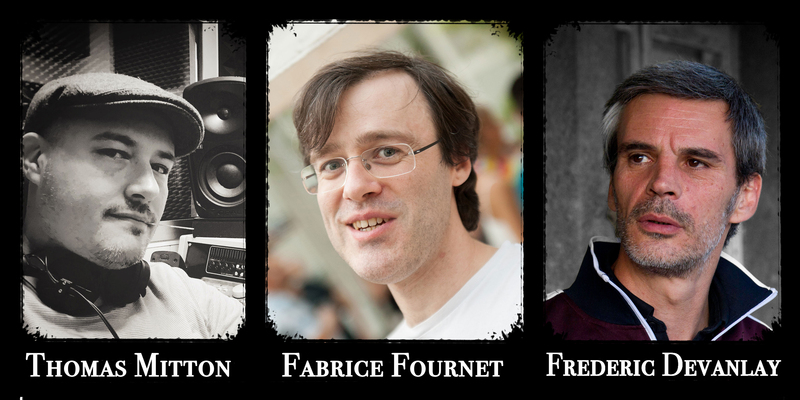 We got in touch with some of Arkane Studio’s sound team—Thomas Mitton (Audio Lead), Fabrice Fournet (Technical Audio Programmer), and Frederic Devanlay (Sound Designer and Director of Big Wheels Studio/Red libraries)—to ask them how they created the game’s detailed soundscapes, brain-twisting map ambiences, and foley for two main characters. Hello, could you tell us a little about yourselves? Thomas Mitton: Hi I’m Tom, Audio Lead at Arkane and sound designer since 2004. I started in this industry at Etranges Libellules, working on licensed games such as Asterix XXL2, Alice in Wonderland, & Spyro: Dawn of the Dragon. Originally, I studied cinema in Paris, working on movies, shorts, and TV ads at the same time. One day a friend of mine told me they needed to hire a sound designer for a game prototype. I took the opportunity and moved back to Lyon. And here I am! Fabrice Fournet: Hello I’m Fab, Tech Programmer at Arkane. I started in the gaming industry in 2007, working at Eden Games on Alone in the Dark 5 and then on Test Drive Unlimited 2. Later, I coded a little sound engine on my free time to explore the existing APIs. After Eden Games’ closure, I had the chance to work for Arkane Studios on Dishonored, and now its sequel. I’ve always enjoyed audio in games in many ways. I’m deeply convinced of its power to convey the player further into the gameplay. Dishonored 2 is a very popular game with a greatly anticipated release. Though most readers likely know of it, can you tell us a little about game? TM: Dishonored 2 takes place 15 years after the first episode. Emily, Empress of the Isles, has grown up and now has to face an evil conspiracy which forced her (or Corvo, your father) to leave her beloved Dunwall and travel far away to reach the coastal city of Karnaca. Here, you’ll try to figure out who’s hiding behind this plot. Dishonored 2 is an action-adventure stealth game with lots of powers & combat skills to upgrade, and it has a real feeling of freedom and choices. When did you each join the sound team? FD: I started with the audio team at Arkane in July 2014, and we’ve all worked together for 2 years. I met Thomas and Arnaud (Audio Producer) first, then Fabrice. The dream team, so Frenchy ;-). TM: I joined Arkane in 2010 to work on the first opus (Dishonored). FF: I joined Arkane in 2012 as the Tech Programmer for Dishonored. For Dishonored 2, I was asked to be responsible, amongst other tasks, for the audio pipeline. I gladly accepted. Thomas, having been a Sound Designer on the first Dishonored game under Audio Director/Lead Level Designer Christophe Carrier, how did your direction for Dishonored 2 as Audio Director differ from Christophe’s vision? 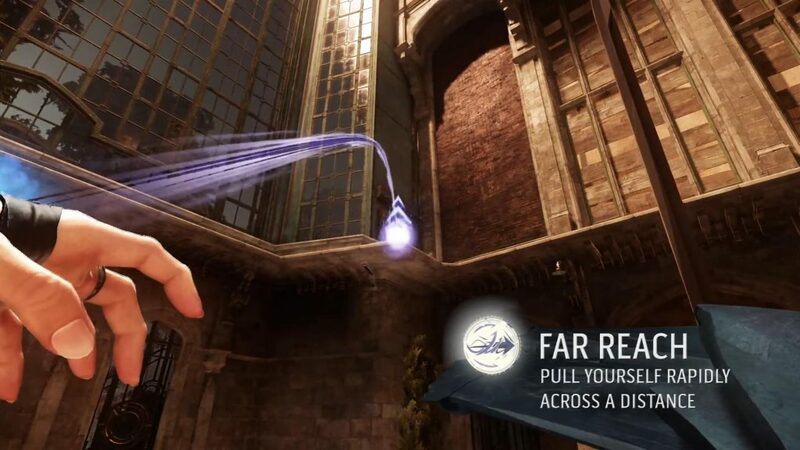 TM: With Christophe, I learned a few rules about the setup he tried to apply at Arkane in previous games. For example, freedom is really important, so we avoid placing too many close “fake sounds” because we think it will deceive players in wrong direction, telling them to find a way to enter a place that doesn’t exist. He was a kind of adviser on Dishonored, mostly for important key features of gameplay. Aside from that, I was totally free to create. 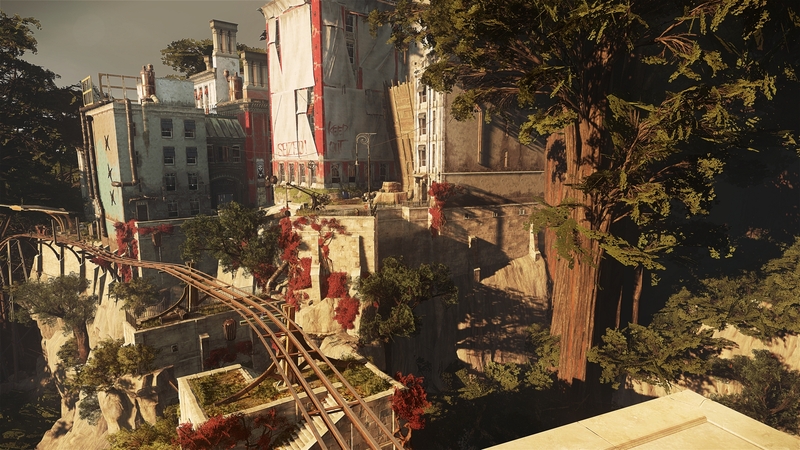 When Dishonored 2 emerged as a more ambitious game, Christophe decided to leave the audio direction to focus on the level design. In the four years since the first Dishonored game, what areas of the sound implementation have been improved? TM: I’ll let Fabrice answer that. FF: The sound engine uses in-house technology to represent the sound world. Sources are re-localized to multi-positions coupled to real-time obstruction, occlusion and environmental effects. 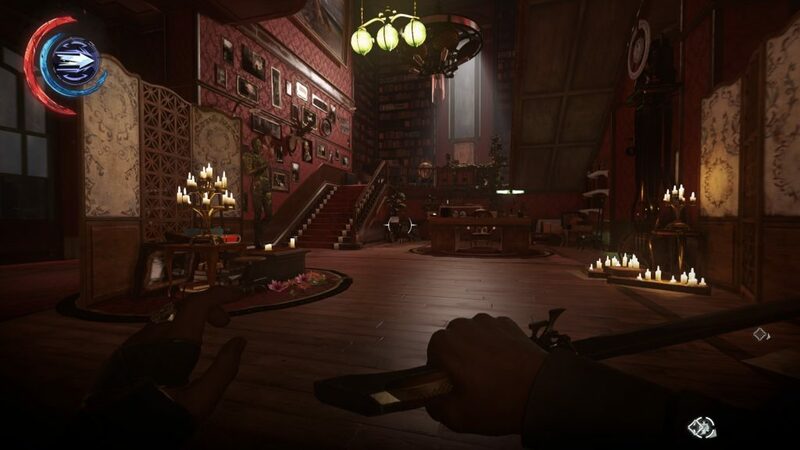 Compared to Dishonored, the sound world is more than 10 times bigger and more complex. We’re now applying more complex multi-positioning and multi-environmental effects per source. We’ve also taken great care to avoid the previously known issues from the first game. We obviously used the front center speaker this time ^_^, and we also added specific LFE sources to effects in need of some “hummpf”. Starting to peek through a keyhole won’t produce a glitch, and using the spyglass will add more information to the front speakers and it’s linked to the camera focal length to provide smooth amplification. The engine also computes physical contact impulses and applies them to impacts to give more random yet plausible results. 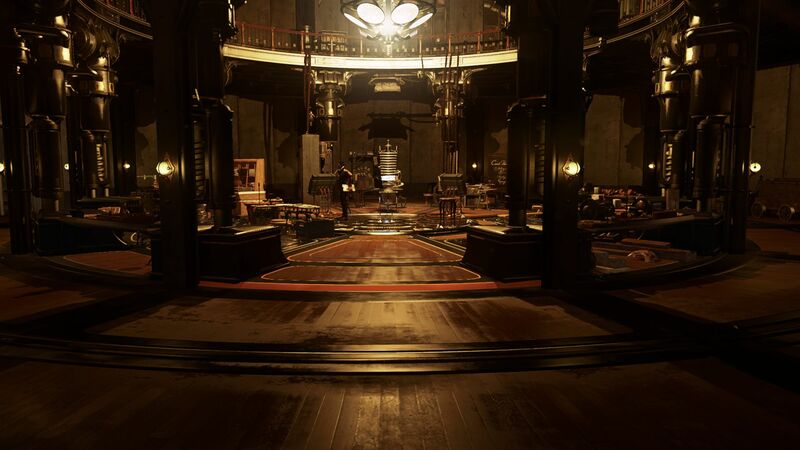 The sound design and imaging in Dishonored 2 is not only immersive, it’s also crucial in helping the players locate and react to nearby enemies. What was your approach for the sound mix in terms of enhancing the gameplay? TM: As you know, players could achieve their goals in multiple ways. So the very first step was to think of the main audio direction as “ninja”. 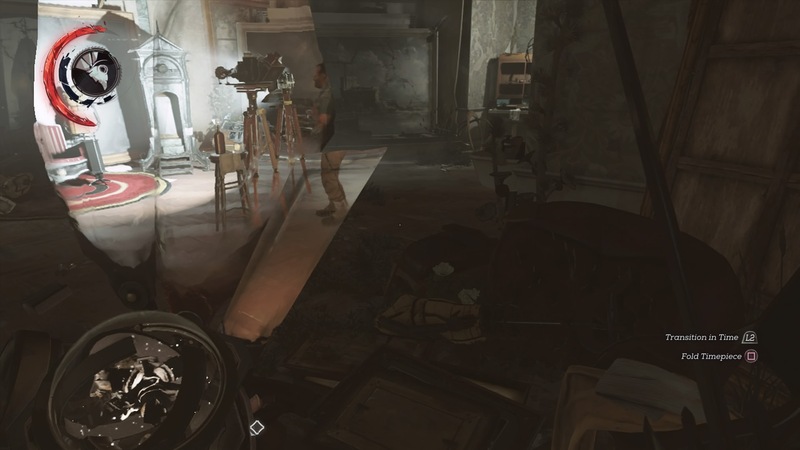 In a stealth game, you have to focus on both visuals and audio, so SFX & music layers have to be subtle enough to simulate an adaptive environment. Since working on Dishonored, we‘ve designed a priority tool to manage the hierarchy for different situations. For example important dialog ducks everything else: music, ambient SFX, and other generic voices. In this way, some sounds need more contrast, like gameplay sounds (footsteps, interactions, etc.). But when everything is going—intentionally?—crazy, we decided to boost the impacts, powers, and combat music to give more adrenaline to the general mix. Even when playing in the hectic High Chaos mode, the soundscapes are very spacious, which helps the players keep their ears perked and not be mislead by “fake” sounds as you mentioned before. However, the ambiences are definitely not sparse with their detailed environments and music and lots of NPC background dialogue. How did the team craft this fine balance that supports action-packed and methodical gameplay? FF: The engine knows for every frame how to sort the sources using an audibility score. Therefore we’re able to put strict, predictable rules on the ducking and drive it code-side instead of in Wwise. It removed a big part of Thomas’ burden to manage the full mix using Wwise’s auto-ducking or environment editing. Ah, of course ‘Windmill’ was also used—I think it’s one of the finest from Red libraries. Which sound library or game from the past prepared you best for the SFX in Dishonored 2? FD: Past collections from Red libraries are textures like water, fibrous wood, etc., so it was very interesting to use them in Dishonored 2, like for Far Reach or Dark Vision (supernatural abilities) or some soundscapes. I also learned a lot from the stealth mode approach in Splinter Cell. FD: Yes, the current gen of consoles gives you more possibilities: memory, 96kHz, close to “no limits” ;-). In a stealth mode, you must prioritize the frequencies of your sounds. Enemy footsteps or faraway voices for example must not be confused with the sounds in the ambiances from the map. You must inform players, so they will know if someone is coming around them or who is speaking. Sam Fisher’s footsteps in stealth mode were only the smooth squeaks of his shoes and light friction and movement of his gear and clothes. In these games, you can EQ them for an immersive feeling or very close perception. You can focus on the breath or heartbeat of the character during a stealth walk. Using contact mics during the recording of the foley can give you the sensation that the sound is coming from the body (no reverb, no air, no high freq). That is another option. In Dishonored 2, you had to take all these techniques and do them twice, since you can play as Corvo, the protagonist from the first game, or his daughter Emily. With different abilities and physiques, what were some sounds that needed two versions? FD: Shoe types: we wanted to have 2 approaches for walking, running, and landing footsteps—lower for Corvo and more agility for Emily. The shoes for Corvo were like Doc Martens and Emily’s were rider’s boots with more heel sound. I recorded leather creaks for both on a separate layer for Tom. TM: The main goal was to make Corvo heavier than Emily in term of body awareness. At the end, I increased the gain a bit in the low frequencies for Corvo mostly, but only for walking and running. In sneak mode, the player needs to feel that he/she plays a shadow, not an elephant. FD: The weapons for both are also different—handgun vs crossbow—and gears and clothes are not the same. Plus the voices, of course ;-), movements, and body hits. As for the landings and body hits, we always had 2 versions, Soft and Hard, depending on the power of the hit from an enemy or the height of your jump or fall. Their abilities, like Far Reach and Dark Vision which you mentioned before, are also different for each protagonist, but they all had whispers underneath them. Were these words in a modern-day language or a ritualistic language invented for the game? TM: Precisely, the whispers you hear when you start to use a power were recorded by Dinga Bakaba, our Lead Gameplay Designer. It’s a mix of African dialects, Arabic, & Brazilian languages. But the purpose was to have our own ritualistic language, surely from the Outsider himself. FD: I also recorded some whispers, breaths, murmurs, and exhales from the French talent to add layers for the effects like delay, reverse, and filter. Are there any moments in the game you are particularly proud of? FD: The Clockwork Mansion, the ambiances of the different areas in the town, and the weapons… ALL ALL ALL. FF: As a coder about everything, because it works, even if it has a few quirks here and there ;). If I really had to choose, it would be the Clockwork Mansion, too, because it is crazy and complex stuff. TM: The mission “A Crack in the Slab”, where you have to use a time device to switch between the past, present, and an alternative present. Really cool. This time device, the Timepiece, is a neat mechanic. You can quickly switch between worlds, both which pass time whether you are in it or not. With seemingly continuous diegetic background music and NPC conversations, how did you cue these sounds so the immersion wouldn’t be broken? TM: I really love this map, because it was a pleasure to design the same place with extremely different moods. First you discover the empty and desolate front garden and then the creepy interiors. And with that device, you time-travel and land in the same place, but it’s a beautiful and lively mansion. The contrast is surprising. It feels like what if it was used in the Boyle mansion in Dishonored? So I asked the level designer to put a music player in the lobby in the past version to make the place more “aristocratic”. Then for the present mansion I set up specific music, which was a bit stressful and weird, and that was designed by Fred. For the past version, we also have the classic setting of exploration & suspense music composed by Dan Licht. Last but not least, I worked in completely different environmental reverb settings. In the present there are a lot of echoes and delays for an empty, cold render. And in the past, the reverb is more muffled & cozy, with random creaking wood and living sounds. What locations did you like to work on best in Dishonored 2? FD: I think the Dust district was the most interesting to work on, because it was a mix of space, light wind, air, and human activities—whether you’re on a balcony or a rooftop or in the streets. When a storm is coming from the hill, you must give the feeling that everything is arriving step by step. First, the dust particles come with a light wind. Second, there are vibrations in the earth, and in the structures, the streets, and the wind turbines. Third, a heavy wind forces deep creaks from the metal and wood, rain and dirt impact the walls, and there is a layer with the sound of wind inside your ears (a very low and distorted sound). Then everything becomes quiet again. Making the ambiances for the small streets was great, too. There are small slapping effects, reverb, and human shouts from nowhere, and the players must not know from where they are coming. The feeling is that it’s deserted, but no!—people are living there but we don’t know where. Do you have a favorite story from when you were working on the sound for the game? FD: Making all the footsteps was hard work. I started early in the morning, or at night some times, to get long quiet moments. One day I was recording walla and atmospheres in a small plaza at Les Halles in Paris. I was sitting down in the street with a small device and discreet headphones. A lady came to me and asked me if everything was ok. Other people thought that I was a tramp. The Arkane Team: We want to add a special and great thank to Arnaud David who was the audio producer on Dishonored 2. Thank you to Thomas Mitton and Fabrice Fournet from Arkane and Frederic Devanlay from Big Wheels Studio and Red libraries. If you would like to learn more about Dishonored 2, you can check out Bethesda’s official website. You can also follow Thomas Mitton on Facebook, and you can follow Frederic Devanlay on Twitter and learn about Big Wheels Studio on Facebook, as well as Red libraries on Facebook, SoundCloud, YouTube, Google+ and Twitter. Thanks for your comments, folks. While we’d love to have more multimedia content, that’s (most of the time) very difficult for our editors and contributors to work out. No one is paid for this work here. Everyone who does work on the site is a working industry professional; contributing in their very limited spare time. The people they coordinate with for content are rarely nearby. In this case, there are whole continents/oceans between…and an entirely different language. It can be hard enough just getting permission from peoples’ corporate overlords to approve this level of participation, let alone add in media content or on camera appearances. So there are, unfortunately, limits to what our “staff” can do. In the end, we want to make sure information like this gets out however possible. 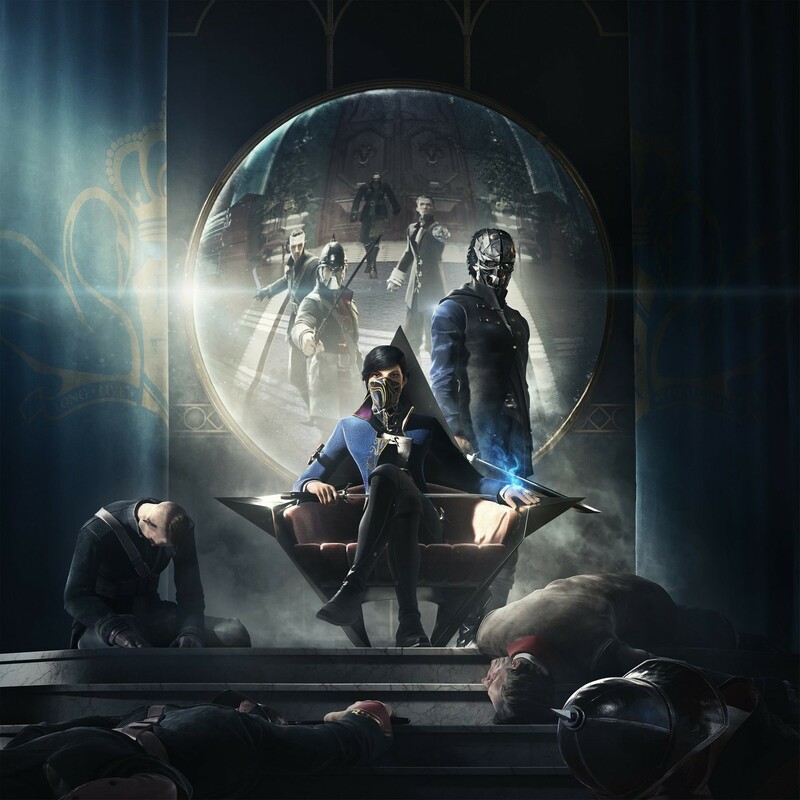 Is the dishonored 2 game and dishonored 1 game is same? Funny, I was just looking up how to turn the volume down on the background ambience since I often find “soundtracks”, even if abstract, distracting since life ambience is much more subtle.